These comfortable supports are designed to provide light support and compression around the wrist and across the thumb CMC joint. 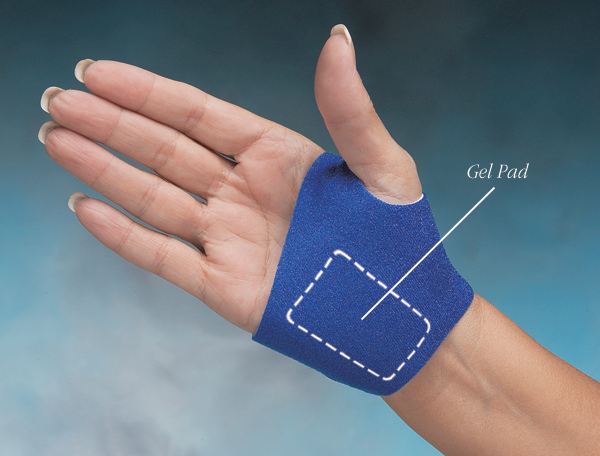 Slightly tacky gel pad adheres directly onto the skin to protect, soften and desensitize scar areas. 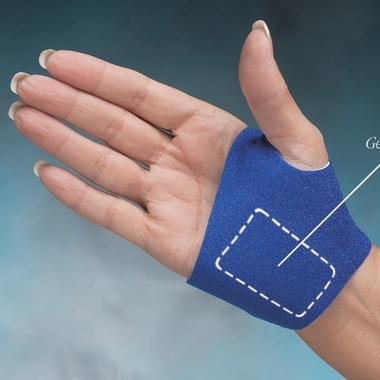 Ideal for use on incision sites to help desensitize and prevent hypertrophic scar formation after de Quervain's and carpal tunnel release. backing, it is slip-resistant, breathable and helps wick away moisture. Includes adhesive-backed gel pad. The silicone gel pad measures 1/8" x 2-1/2" x 1-1/2" (3.2mm x 6.4cm x 3.8cm). 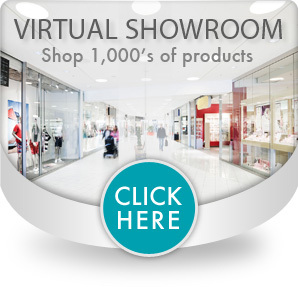 Hypoallergenic and non-toxic with an indefinite shelf life. Effective for up to six weeks. Gel pads can be cut for a custom fit. Replacement gel pads are available. Available for the Left or Right. Width at MP joints: Up to 3"
Width at MP joints: 3-1/2"
Width at MP joints: Over 3-1/2"